Sunny, hot days really make us appreciate a cool, cozy place to relax. 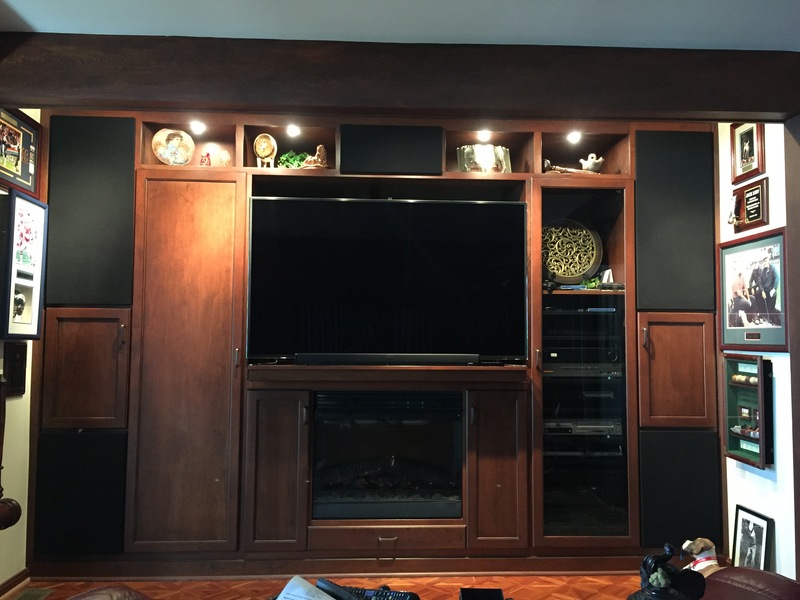 The rich wood entertainment space of this home is ready for that, with built-in speakers for surround sound. We created this cabinet system that fills the whole wall. It has room for the large television screen, audio equipment, speakers, and cables bundled into their own nooks. It includes storage spaces and display shelves. 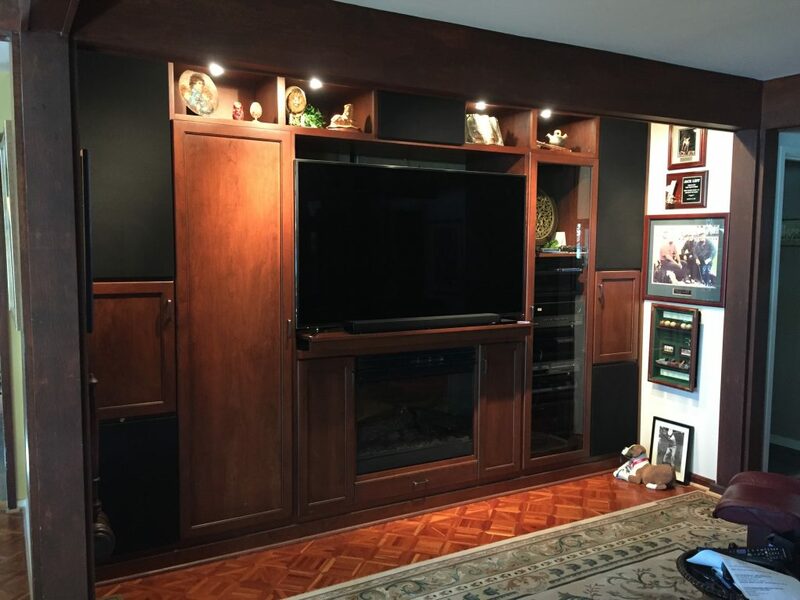 Glass doors cover the audio equipment, protecting it from dust and keeping it sleek. Lamps installed in the cabinets provide a subtle accent and luminous glow to the shelving. 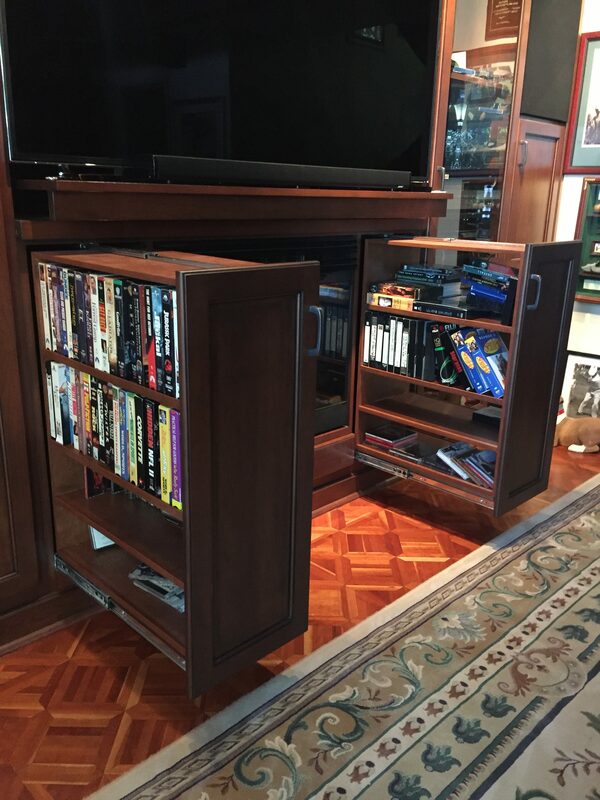 These pull-out shelves have room for all the movies and small accessories right at hand, yet tucked away neatly. Our custom cabinets can be styled and organized to fit any space. 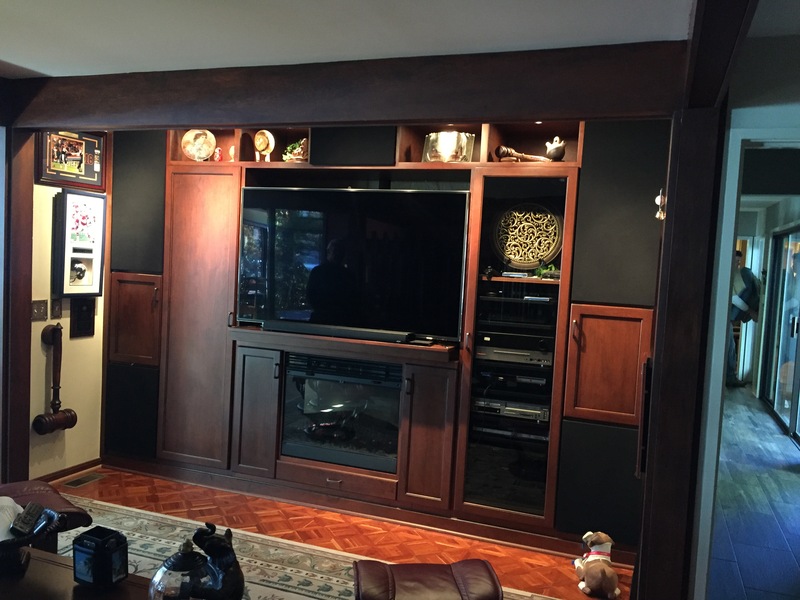 We can build an entertainment center and storage that works just right for you.